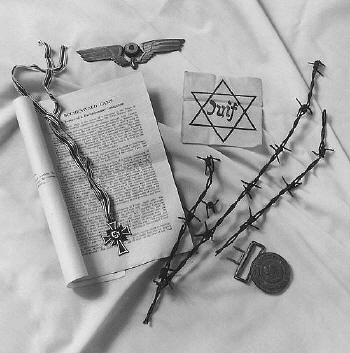 The Jewish Holocaust remains one of the most tragic examples of hatred towards humanity. Founded on Nazi ideologies of racial supremacy, the Nazi's surmounting hatred of Jews led to one of the most heinous and systematic campaigns of mass extermination in the history of mankind. 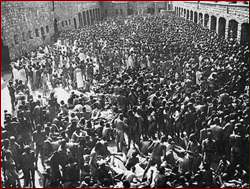 In the beginning, Jewish men, women and children were forced out of their homes into ghettos. 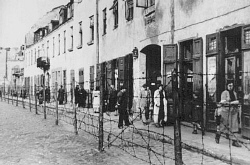 Ghettos were areas specifically designed to segregate Jews and prevent them from intermixing with non-Jewish citizens. Wide scale deportation soon followed. Deportation was the initial step in the "Final Solution." 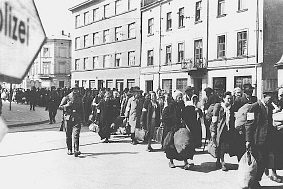 Jewish men, women and children were told they were being relocated to perform work. Each was advised to take clothing, blankets, shoes, eating utensils, a bowl and money. Before relocation, they were required to take baths and undergo disinfective procedures to prevent the spread of disease. Afterwards, they were rounded up and herded into trucks destined for the rail station. Some were forced to walk. The railway cars were strategically distanced from the passenger terminals to prevent public arousal. 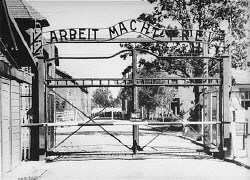 Those who did witness the deportation schemes chose not to protest. 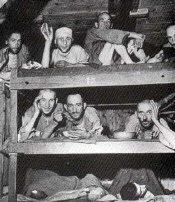 The deportees were forced into railway cars which were windowless, unheated cattle cars. They were squeezed in so tightly that most were forced to stand. The doors were then sealed shut from the outside. Drinking water and sanitary facilities were not available. 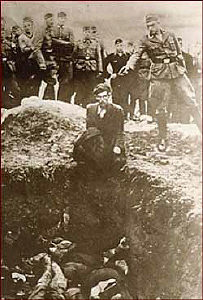 Each car held more than 120 people with many freezing to death, suffocating or succumbing to disease en route to the concentration camps. The dead were not removed from the cars during the journey due to the Nazi bureaucracy's insistence that each body which entered a railway car had to be accounted for upon arrival. Oldtymestockings wishes you to consider the tremendous price of hatred. Oldtymestockings unites with world peace ministries and christian charities in an ongoing effort to secure love and peace in the world. In support of this mission, Oldtymestockings presents two lines of Freedom Trail Jewish Holocaust Stockings.